Candidate must have SSC, Higher Senior Secondary (10+2) with Science as a compulsory subjects and candidate must have 2 Years ITI Certification in the relevant streams to apply for NPCIL Careers. Interested candidates applying for can download the previous year’s Question Paper in the PDF Format from here. Go through the question Papers or Model test Papers for the Recruitment & answer the questions. 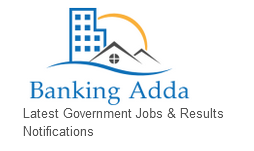 Click on the below links to buy sample question papers from the official website for government job vacancy in govt job adda & check your NPCIL result also on Jobriya. Interested & Eligible candidates can apply only through online mode. The candidates also pay the fees by online mode by downloading the bank challan after completing the process. Online application form starts on 15 October 2018 to 14 November 2018. Candidate can pay fees also by Debit Card/Credit Card & Net Banking.